DETROIT (Bloomberg) -- Toyota Motor Corp. said U.S. sales of its luxury Lexus brand rose 31 percent in May as incentive programs helped it take a year-to-date lead over Mercedes-Benz. Lexus sold 22,216 vehicles in the U.S. in May, pushing its year-to-date total to 90,098 cars and trucks, up 23 percent from the same months last year. Mercedes sales rose 27 percent to 19,184 in May and gained 26 percent to 88,010 so far this year. Through April, Mercedes had sold about 1,000 more cars and trucks than Lexus, according to the Automotive News Data Center, which includes sales of Sprinter commercial vans in its Mercedes counts. If Sprinter sales aren't counted, Lexus widened its lead in May. Lexus has been the U.S. luxury leader for a decade. BMW AG's namesake brand's sales declined 3 percent to 17,859 for the month. Luxury sales lost pace with the U.S. market as Lincoln and Porsche also declined, said Jessica Caldwell, senior analyst with Edmunds.com, the car-shopping site. Carmakers are selling down the current model year's inventory, which is pulling in more bargain hunters than true luxury buyers, Caldwell said. Lexus offered discounted leases and reduced-rate financing to spur the sales increase that exceeded the total U.S. market's 19 percent climb. The incentive programs will not be continued as Lexus switches to more brand-focused advertising for June and July, Mark Templin, general manager of Lexus, said. “We think the luxury market will grow at a faster rate than the overall market,” Templin said. Mercedes continued to grow on the sales of its redesigned E-class sedan, which more than doubled to 5,476. At the same time, Mercedes cut its incentives by 54 percent per vehicle to $2,834, according to Edmunds.com. The company will continue to try to cut incentives, Ernst Lieb, chief executive officer of Mercedes-Benz USA, said. Lieb said it will be a challenge to spend less because rivals such as Lexus are keeping up the pressure. Toyota's luxury brand spent $1,656 a car on incentives in May, up 38 percent from last year, according to Edmunds.com. Lexus dealers have bigger gross margins than Mercedes dealers do, so they can cut prices to close a deal, Lieb said. 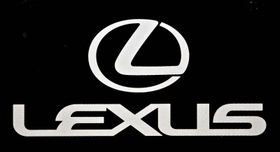 Lexus does not discuss dealer margins, said a spokeswoman, Alison Takahashi. Dealers are free to adjust prices to make a sale, she said. BMW sales have declined in part because the company is phasing out the current generation of its popular 5 series line and making room for a redesigned version. BMW sold 2,289 copies of the 5 series in May, down 41 percent from last year. Sales of the outgoing 5 series have declined 34 percent this year, keeping BMW behind its two biggest rivals in the U.S. luxury race. BMW brand sales are up 6 percent this year to 81,450. Cadillac, the luxury brand of General Motors Co., reported a 54 percent increase in May with sales of 12,328. Sales of the brand's SRX sport utility vehicle increased more than sixfold to 4,081, while CTS sedan sales rose 20 percent. Cadillac incentives declined 15 percent from last year to $4,748 a car, according to Edmunds.com. That spending level was higher than any rival except Ford's Lincoln division, which spent an average of $4,987 a vehicle in May. Lincoln sales fell 9.5 percent to 7,755 vehicles, Ford said. Volkswagen AG's Audi division sold 9,205 cars in May, up 23 percent, for the company's best May ever in the U.S. Sales at Honda Motor Co.'s Acura brand rose 24 percent in May to 11,766 cars, the Tokyo-based automaker said. Acura's new MDX SUV was the big gainer with sales up 65.5 percent in May. Nissan Motor Co.'s Infiniti sold 8,091 vehicles last month, which was a 25 percent increase, the company said. Tata Motors Ltd. said sales for its Jaguar brand fell 18 percent to 962 cars while its Land Rover brand's sales jumped 22 percent to 2,709 SUVs.